Providing the most complete home inspection available. If you would prefer to not use our online service request system please CLICK HERE to fill out our inspection request form. 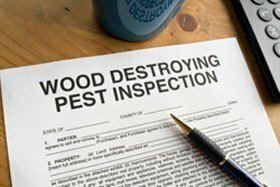 A WIR or CL-100 Report is a report of visible infestation and damage caused by insects, usually termites or beetles, and decay in accessible areas of a structure. These reports are usually required by the mortgage lender or the buyer in a real estate transaction.